That most orthopedic tests haven’t been proven definitive in diagnosing some or most musculoskeletal conditions is a given. In fact even those tests with good inter-reliability suffer with short comings in validity. Laslett, Bogduk et al did a systematic review in 2010 to determine whether tests could accurately determine a disc vs. facet vs. an SI joint and found the answer to be “generally NO”. However most experts suggest a barrage of tests (with the majority negative (or positive)) give an acceptable odds-ratio as to the likelihood of involvement. 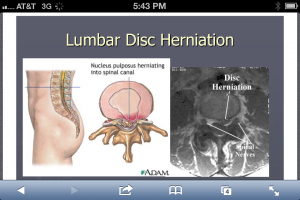 This is more so the case with the SI joint vs. facet or disc. The above picture from SI-Bone suggests a clinical testing procedure with the (5) most diagnostically-relevant SI tests. IF (4) of the (5) are positive there is a 75% likelihood the SI may be involved. The opposite is true as well ((4) of (5) negative). However other studies suggest the MOST relevant tests are the THIGH TRUST and distraction/compression. These (2) tests tended to give the strongest indications. Effects of augmented trunk stabilization with external compression support on shoulder & scapular muscle activity and strength during isometric shoulder abduction. Both pelvic and shoulder thoracic support. During abduction, strength was viably increased under both pelvic and thoracic compression/restraint (condition (3)). The findings suggest that: “augmented trunk stabilization may be advantageous with regard to reducing the compensatory muscle efforts of trapezius during isometric shoulder abduction and increasing of abduction strength”. https://kdttechnique.com/wp-content/uploads/sites/4/2018/07/kdt-logo.png 0 0 Lori Klink https://kdttechnique.com/wp-content/uploads/sites/4/2018/07/kdt-logo.png Lori Klink2016-02-29 15:26:162016-02-29 15:26:16Effects of augmented trunk stabilization with external compression support on shoulder & scapular muscle activity and strength during isometric shoulder abduction. In a general sense there can be no absolutely accurate ‘traction-force calculation’ since most mechanical attributes patient to patient are unknown. However we have to make assumptions and these are based on both morphology, function, patient condition and duration of pain. It makes sense to “limit the liability” in ALL cases, however limiting the pull force (tension) in ALL cases could let patients needing robust, high-force procedures to slip through “underserved”. The more ‘Acute’ the condition the lighter the pull. Acute both in temporal-terms and level/intensity of pain. Since most moderate or severe LBP (or neck pain) is indubitably a SPRAIN or annular compromise overstretching it early on is utterly counterproductive. The VAX-D protocol called for a 3-4 week “cooling off” period where “real/traction-able/traction-responsive” conditions were allowed to simmer…becoming more apparent after several weeks of natural de-inflammation/healing. After which, persistent symptoms gave a green light to decompression. The more chronic the symptom the more relavant higher force MAY be…but as discussed before; degenerative disc fibers are not infinetly adaptable to stretch, and can sustain injury if overloaded. And that could mean prolapse in the worse scenario. We seem to agree 30-35% TBW is a good starting point for sub-acute/chronic conditions whose symptoms are LB with or without some pelvic/thigh referral. Sub-acute is typically likely at least 2-3 weeks since onset. Acute presentations (you feel compeled to decompress) its best to stick to 20-30% TBW with a TRAC-short pull (10-15 secs pull/rest, 5-8 min). IF it’s a compromised condition you probably will not have crippled them too badly. I routinely say: “don’t be dogmatic about high force OR low force”, our rules are guide posts. There are many patients (yes typically big men) who do require (or demand) serious force (90-120 pounds) however more patients require less force and are better served at 30-35%. When designing the Kdt Neural-flex it was decided NO cumbersome split-bolster, dual rubber bolsters or ridiculous support-stool would be used. Instead we created a revolutionary configuration incorporating leg-support and attendant pelvic ‘flattening’ into the table…eliminating the need for bolsters. In our testing clinics and now in the field for nearly 8 years this has proven itself to be a very important table attribute. (1); CA’s and doctors don’t need to wrestle the bolsters under the knees before and after every session…and store them when not in use. (2); proper placement, which was always an annoying is no longer a consideration, as is their shifting around and getting the belt caught under one or the other. (3); the patient isn’t required to activate the hip-flexors before or after the treatment to move the bolsters under the legs. The knees stay bent and the table section meets them. Those of us who’ve spent years monkeying with bolsters (and I should know since I designed and developed the DTS dual-bolsters and had to use them for years) the incorporation into the table was nothing short of incredible. The small ½ round bolster can enhance comfort in some patients either placed under the ankles or under the crook of the knee. With the pelvis “affixed” to the table via the flexed-section under the legs a greater participation and control of the traction is assured. In regard the previous blog on “classic herniations” this pre-post MRI series certainly reveals an excellent reduction in hernia size and impact. The frustrating component of what we do, and all of physical medicine is the inability to absolutely know what part of pain relief, healing and improved function are directly attributable to our interventions…vs. time. Voltaire pointed out some 200 years age: “nature heals, doctors take credit”. However in the above series the pain and disability (and the pre film) had persisted with little remission for several months during PT treatments. After 3 months he switched to our decompression treatments and in 5 weeks had a VAS drop from 7.5-2. A post film revealed the extreme reduction in size and impact. His pain eventually went to zero and in the subsequent year saw no exacerbation. 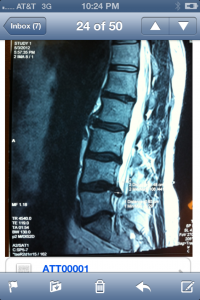 42 y/o male, treatment was prone with 10 degrees of extension to comfort, 10 minutes at ~70 pounds, 3Xs a week. Laser and extension-facilitated exercises were also utilized. Not that we haven’t all seen these pictures innumerable times but it is wise to recognize both the classic look on MRI and the illustration. It’s also important to recognize these presentations are neither ubiquitous nor inherently ominous if you look at population studies. Lifetime prevalence of a “true pinched nerve” is about 10% and both old and recent studies show self-healing, resolution is very common…if not ubiquitous. Many studies conclude there is shrinkage-phenomena i.e. up to 80% of hernias will shrink at least 50% in 6-9 months. And those patients presenting with HNP (typically a younger population) actually recovered with better outcomes than those having similar pain but no MRI confirmed herniation, in 6-9 months (NEJM 10.1056). 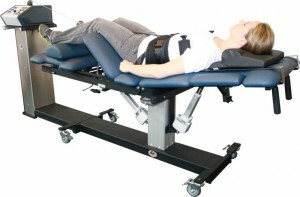 In acute presentations facilitated exercise (extension most commonly) in addition to decompression procedures has been shown to be very effective. Though this “classic” presentation is perhaps NOT the typical presentation in our offices it is good to have the treatments & knowledge available when it does show up…and recognize when referral is necessary based on typical-healing profiles. https://kdttechnique.com/wp-content/uploads/sites/4/2018/07/kdt-logo.png 0 0 Lori Klink https://kdttechnique.com/wp-content/uploads/sites/4/2018/07/kdt-logo.png Lori Klink2016-02-24 13:58:372016-02-24 13:58:37Are you getting familiar with Inversion options on the Neural-flex? Why aren’t you trying manual-distraction on your Neural-Flex? I talk to a lot of clinicians and am amazed how many have seen out ‘manual/direct-contact (hands-on)’ distraction techniques but don’t give it a try. Recently I had a phone conversation with a doctor who tried it after finding little success with her typical decompression procedures. 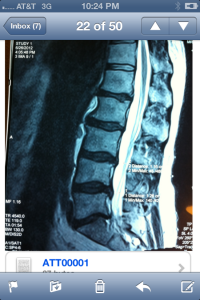 The patient condition seemed to indicate an upper lumbar disc was at issue and 6 prone (and supine) traction sessions had failed to definitively help. 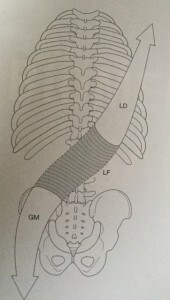 The Femoral-stretch test revealed a possible neuro-mechanical issue, as did the SLR, however upon more directed testing and paying close attention to the patient symptoms it became probable L2 was a source (albeit L1-L3 herniations are quite rare overall however these segmental levels are none the less not as rare as contributors to back pain). She discussed this ‘alternate’ treatment plan with the patient and decided to try (3) ‘direct-contact/manual’ distraction sessions. Each session was performed prone-with very slight flexion of the caudle section (patient preference) with 10 minutes of Laser applied initially. The hand contact was typical F/D contact-point with a setting of (8) seconds of pull, (8) seconds of rest. Each pull was 45 pounds (10 pounds rest) for 5-6 minutes (doctor tolerance). The patient response was robust and the evening of the first session reported excellent improvement. https://kdttechnique.com/wp-content/uploads/sites/4/2018/07/kdt-logo.png 0 0 Lori Klink https://kdttechnique.com/wp-content/uploads/sites/4/2018/07/kdt-logo.png Lori Klink2016-02-23 14:31:082016-02-23 14:42:15Why aren’t you trying manual-distraction on your Neural-Flex? Over the past several decades ‘good’ and ‘bad’ posture has been to a large degree based on experimental data concerning the hydrostatic pressure of the nucleus. These studies found that lordotic postures reduce the pressure in the nucleus compared to flexed postures and they concluded that lordotic postures reduced spinal loading. We now know that lordotic postures reduce nucleus pressure only because they transfer load-bearing to the posterior annulus and zygapophysial joints. These structures are frequently sources of back pain themselves, whereas the nucleus is not…so the concept of ‘good’ posture needs to be re-evaluated. There are advantages to BOTH lordotic and moderately flexed postures dependent on numerous variables including whether one is moving, static standing or sitting or lifting. Recommendations should also incorporate the need for consistent postural ‘adjustments’. Additionally internal disc disruption (IDD) degenerative changes and pain alter load-transfer and increase ‘peak-stress-concentrations’ on the disc further complicating the concept of ideal posture. In case the concept of Force Closure still seems illusive this picture and brief explanation should elucidate further. The lumbodorsal fascia (LF) forms a mechanical link between the gluteus maximus (GM) on one side and the latissimus dorsi on the other. The force transmitted across the pelvis will act to press the surfaces of the left-hand side SIJ closer together. In this way, the bilateral effects of this linkage may be to stabilize the SIJs by the mechanism of ‘Force Closure’. The action of muscle-contraction generating force vectors link the bony surfaces into contiguous, single motion entities capable of the enormous loads the human frame is capable of lifting. We ‘supplement’ “Form Closure” (the unique bony shapes of the surfaces) via external-bracing or compression as a therapeutic device to judge the extent an impaired motion is not directly compression on a disc. Adding contraction/bracing; Force Closure further demonstrates the non-compression aspect of the problem and the likelihood stabilization via exercise will result in improved motion. https://kdttechnique.com/wp-content/uploads/sites/4/2018/07/kdt-logo.png 0 0 Lori Klink https://kdttechnique.com/wp-content/uploads/sites/4/2018/07/kdt-logo.png Lori Klink2016-02-19 14:33:192016-02-19 14:33:19What is “Force Closure”?